There are a wide range of reasons to paint your concrete garage floor, many of which can be applied to other concrete surfaces, such as basement flooring and concrete porches. So, without further ado, read ahead to discover how these paints can instantly improve your home. You'll have experienced dust throughout your home; it's a fact of life and something that we must regularly clean up. 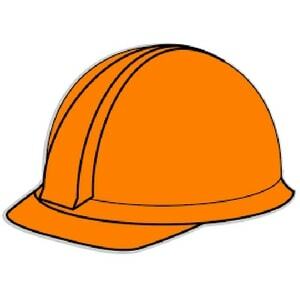 However, what you might not realize is that concrete flooring contributes a great deal towards the formation of dust, every time somebody walks or drives on the surface. This will then settle on all the surfaces within the room, dirtying your car, tools, laundry, utility machines and so on. Fortunately, this can be remedied somewhat. Applying a coat of epoxy or paint to your concrete garage floor can prevent the surface from generating the same levels of dust, as it is trapped beneath the seal created by the paint. 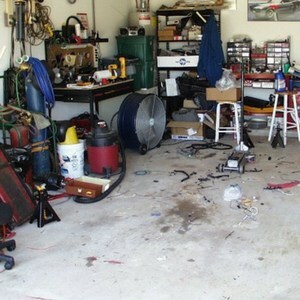 As a result, you can reduce the regularity with which you need to clean the garage. Though it varies by manufacturer and product, garage floor coatings provide exceptional resistance against a wide range of chemicals and greasy stains that could easily soak into concrete, as well as resistance to water marks, mold and mildew. You'll also find it incredibly easy to wipe away greasy stains such as oil. Even tougher stains shouldn’t require more than a mild detergent and sponge. What’s more, some garage floor epoxies out there are incredibly durable, to the point of being twice as tough as concrete. Should you happen to drop a heavy tool onto your floor, believe it or not, you’re more likely to avoid damage to your floor by having it pained as opposed to bare concrete. This ties closely in with the comments above about reducing dust within your garage. Since concrete clings to dirt and dust within its pores, cracks and crevices, this debris is easily tracked into the home on bare feet or on shoes. When the dust and dirt is taken out of the equation, your home ends up being cleaner as a result. 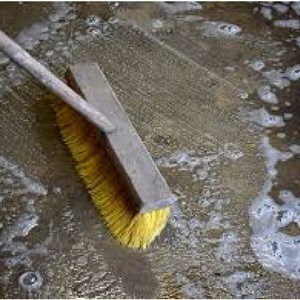 Not only does a painted concrete floor look good, but it's also easier to clean than concrete. As mentioned above, all good epoxy garage paints resist a wide range of chemicals, including oil, salt, chemicals, grease and more. This makes painted flooring exceptionally easy to rinse with water or mild cleaning products, which can quickly remove spillages of the above types of liquids. Conversely, concrete flooring can very quickly allow spillages to seep into the surface, making them incredibly difficult to remove. As a dull, matte material, concrete tends to absorb light and cast more shadows across your garage. By painting your concrete floor in a brighter color, you'll not only improve the general brightness of the room, but also create a glossy surface off which light will naturally reflect, further improving the level of lighting within the room. In the lighter months, this might be the difference between switching on the garage light and increasing the electricity bill, or not. Concrete floor coatings are not expensive, providing you choose the right products. What's more, the results that they give are far more appealing than bare concrete, affording a professional, showroom-quality finish. This makes them ideal for showing off your car within a garage or creating an attractive shine within a basement game room or private home gym, for example. Chips and cracks within your concrete floor can be unsightly and easy to spot, due to the rugged nature of the material. However, a good-quality epoxy floor coating can disguise cracks and chips under a colored surface. This effect can be further improved by using the color flakes that are often included with such products. 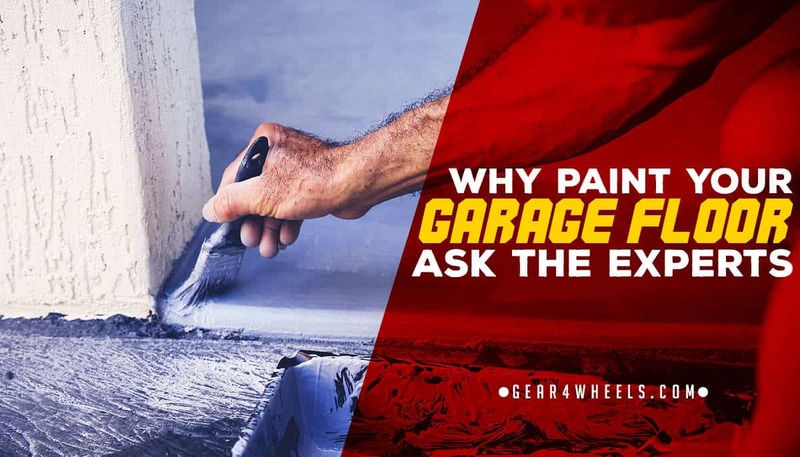 Though this isn’t the case for every single paint on the market, there are certain products that you can add to your garage floor concrete paint, which will increase the friction in the finished product. On cold, wintry days, this can help prevent you from slipping when your feet and shoes are wet from rain and snow. 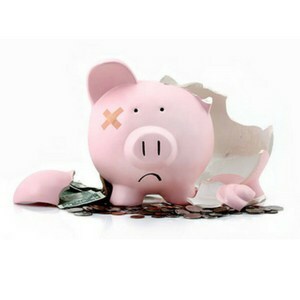 Though we’ve listed just 8 benefits above, there are likely more that we have not discussed. Painting your concrete floor brings about all of these advantages for such a marginal cost that it’s best to invest the time and small amount of money in doing so, rather than continuing to live with a dull and lifeless concrete surface in your garage.